As a lover of the real “off the beaten track tourist gems”, this is one of the latest editions to my list. Enchanted and inspired by my visit to the Yunnan Province in December 2012, I returned in March 2013 (last weekend) to check out the sights in and around the city of Luoping, the main point was to admire the marvellous Yellow Canola Fields at Jin Ji Cun. Luoping in its splendid disconnected world, “isn’t even in the Lonely Planet” and that’s what made me more eager to check out this place. 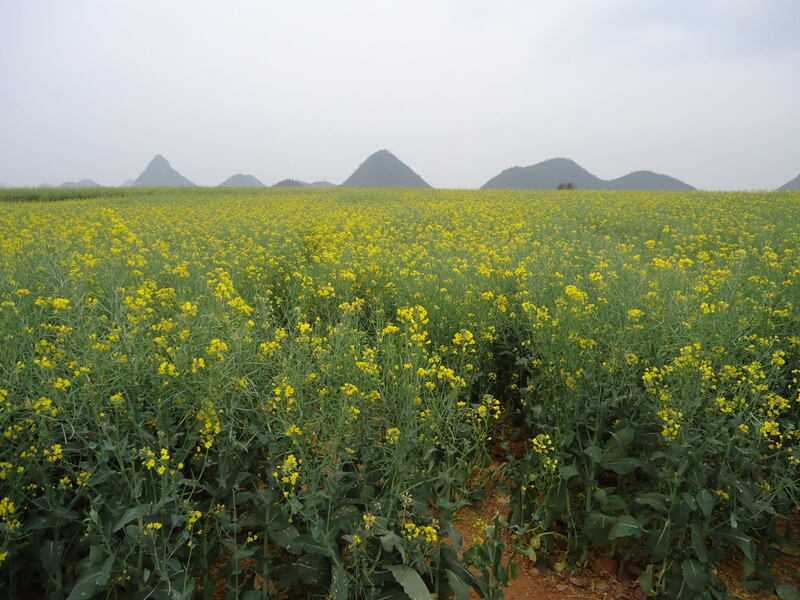 There are yellow canola fields everywhere, the plant is grown in the remote countryside near Luoping, mainly next to a village called Jin Ji Cun (but in other parts too). 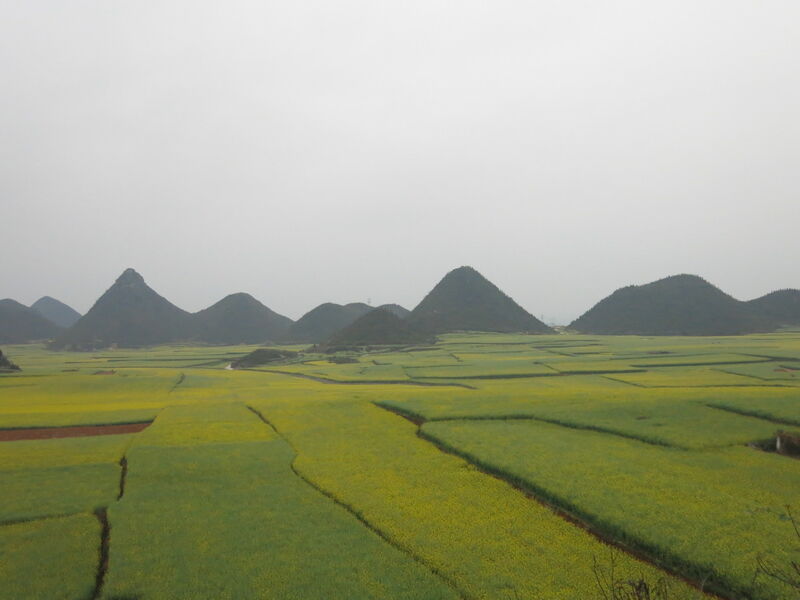 Basically to see the yellow fields in Luoping (as they are often referred to) head to the village of Jin Ji Cun. What are the Yellow Fields at Jin Ji Cun? The yellow fields are an awesome array of endless pretty fields coloured in yellow due to the colour of the canola flowers, also known as rapeseed. 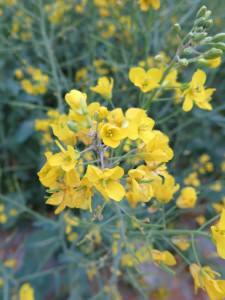 The flowers themselves are harvested for export, and making rapeseed oil from. When should you visit the Yellow Canola Fields at Jin Ji Cun? You can ONLY see these yellow canola fields in Spring time, so this is ESSENTIAL to know. Generally this means January to April, but really do your research first. As I say, I’ve just been there a few days ago so early March is a decent time to see them. Springtime is the only time to visit the Yellow Canola Fields near Luoping, the rest of the year you won’t see them! 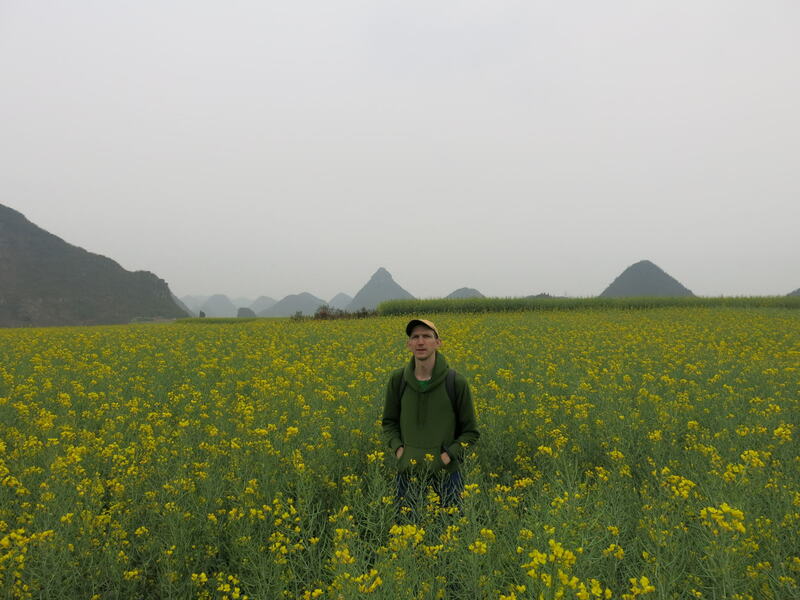 How do you get to Yellow Canola Fields at Jin Ji Cun? From Luoping bus station, ask how to get to Jin Ji Cun, Yellow Canola Fields. 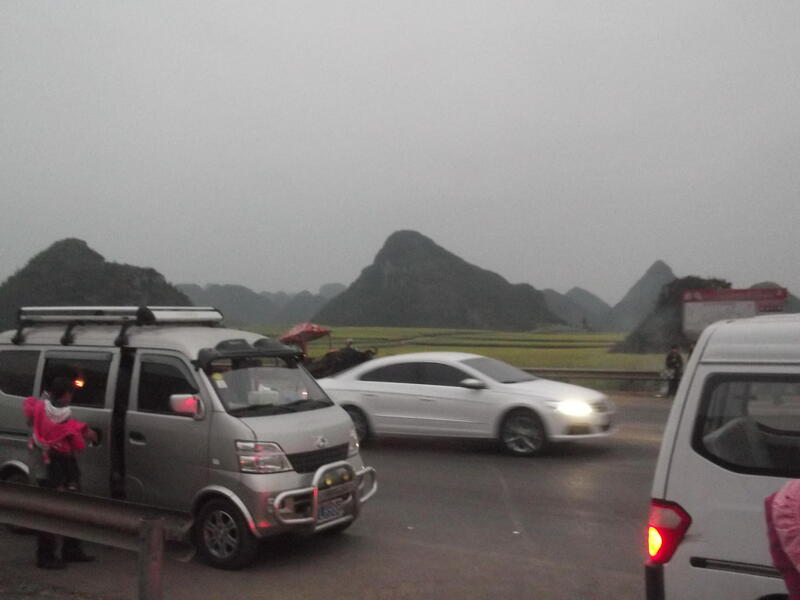 You will get a green minibus from the main road, which costs just 5RMB each. It’s a very local bus and a local experience. If you are foreign like me (a travelling Northern Irishman) you will really stand out from the crowd. 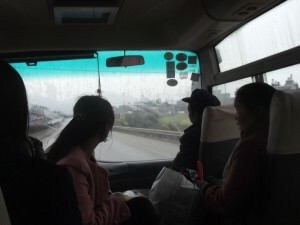 There were NO other foreigners anywhere in sight in this part of the Yunnan Province. On board our local bus from Luoping to Jin Ji Cun village where the yellow canola fields are. The bus takes around 20 – 25 minutes and drops you right off at the entrance to the Yellow Canola Fields. 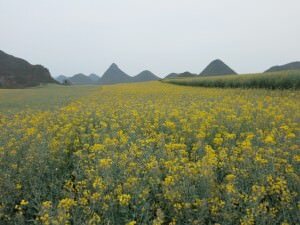 The fields will be on your right, and the village of Jin Ji Cun will be on your left – you will most likely head to Jin Ji Cun after seeing the Yellow Canola Fields, as there are ample accommodation options there. You will be dropped off at the edge of Jin Ji Cun next to the yellow canola fields. How much is the entry fee to Yellow Canola Fields? 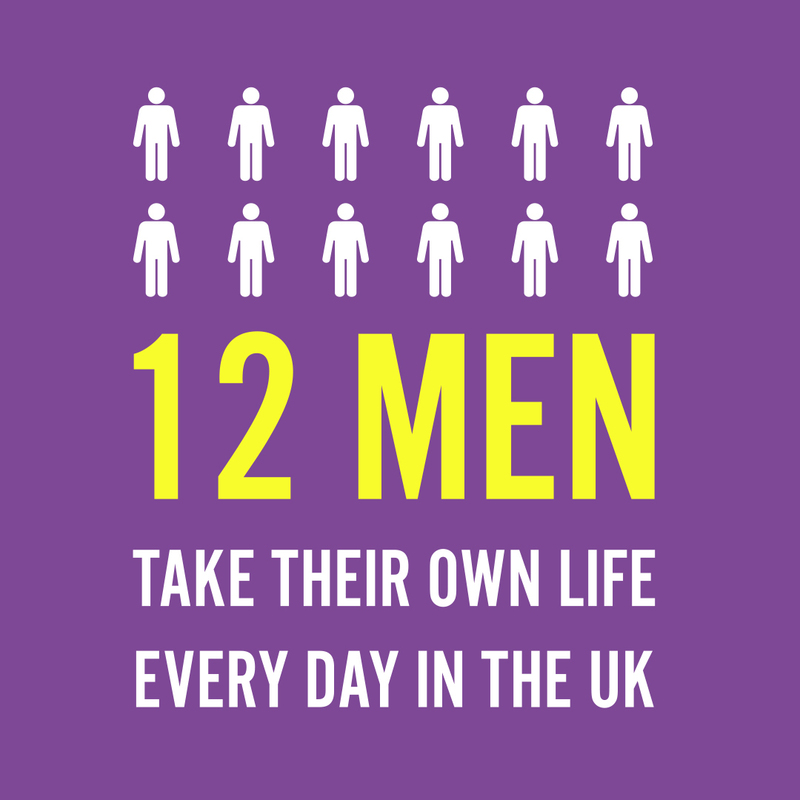 There isn’t one. They are remote lonely fields in the Chinese countryside and wilderness. You just walk down the path to the fields and that’s it – no charge whatsoever. 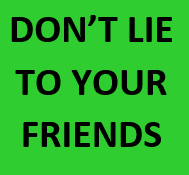 Enjoy – IT’S FREE!!!!! What do you do at the Yellow Canola Fields in Jin Ji Cun? They are yellow canola fields. You look at them and you admire them and you take some photos. Yes that’s it. On the way there you walk down a path through a market where there are lots of local food stalls – things like potato, chicken and honey are all sold here. The path is less than 500 metres long and that’s the only commercial thing here! There is no ticket booth and certainly no widespread advertising. This is as natural and uncommercial as a top tourist attraction can get. 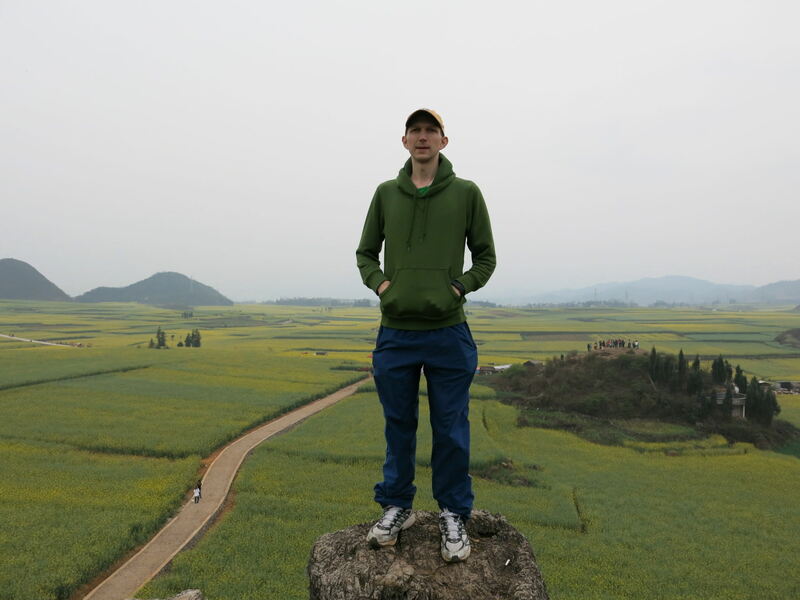 At the Yellow Fields in Luoping! Well really they are in Jin Ji Cun – checking them out from one of the hills in front of the village itself. To get a good view, simply climb up some of the small hills, there are lots – you will see other tourists on top of them, follow the paths up to the top. We climbed up two of them, but there are lots. Take your quirky photos – jumping up, walking through the fields, standing on rocks staring down etc. You have the freedom to walk through the fields and take photos. Once you’ve seen it, head to the village of Jin Ji Cun to get a place to stay for the night. The yellow canola fields are meant to look great at sunrise and sunset. When we visited, you couldn’t see the sun at all, so it was just admiring the fields themselves! Are the Yellow Canola Fields in Jin Ji Cun unique? NO, of course not – these types of fields are everywhere, including parts of China, Australia, Canada and the USA. BUT this is a great place to see a vast number of them looking so pretty. It is also a fantastic off the beaten track spot and it was my first time to see these types of yellow fields. 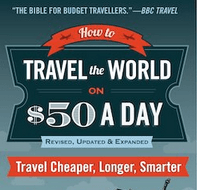 I really recommend it! Enjoying the view of the canola fields in Jin Ji Cun with my travelling Hong Kong girlfriend Panny Yu! What else is there to do near the Yellow Canola Fields? I’ll be writing about this at some point too! But as a taster, trying the local food, visiting the 9 Dragons Waterfalls, checking out awesome views of the countryside and riding on a cart escorted by a yak are a few tips! 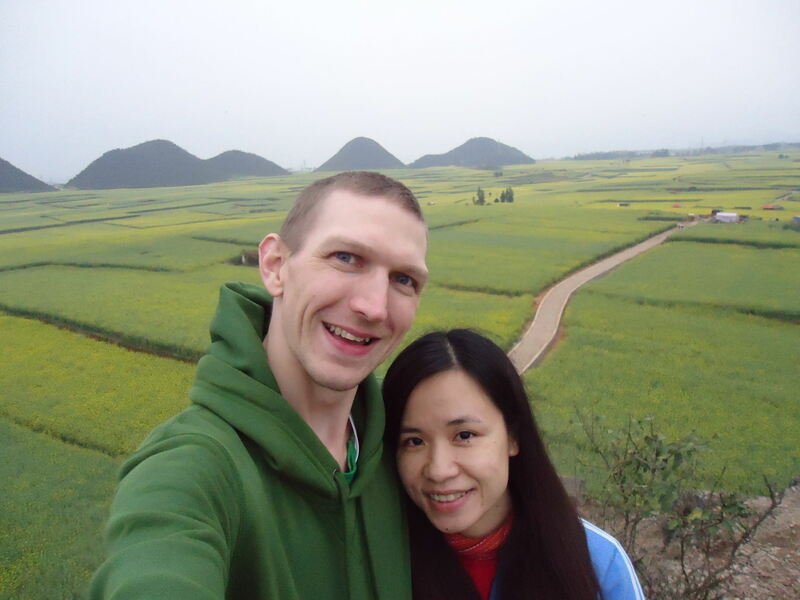 There’s also a hillside temple in the village of Jin Ji Cun and the local beer Lan Cang River met my expectations! 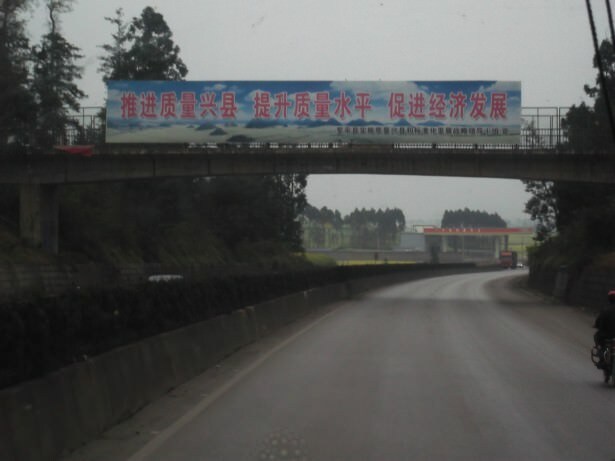 This entry was posted in Asia, China, Destinations, Luoping, Yunnan. Bookmark the permalink. I’d never given thought to Canola before but those fields are gorgeous. 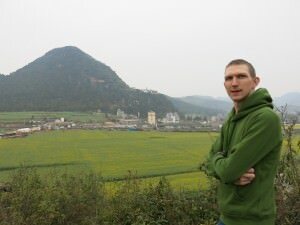 I saw some great canola fields in Gangxi around the Li River and Yangshuo earlier this month. What a great overland journey you had! This is a great example of “the road less traveled”. Luoping always amaze me and it still waiting in my must-visit list. 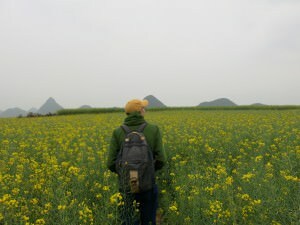 How many days did you spend from you arrived Kunming and also explore this Canola Fields?